….my mother had me tested” quips Sheldon Cooper, the wacky theoretical physicist on TV’s “The Big Bang Theory” when anyone questions his sanity. Admittedly, I AM NOT a TV aficionado, but when I watch TV, it is generally reruns of this hilarious situational comedy. Why do I watch you ask? I would be a liar if I didn’t divulge that I believe Penny is SMOKIN HAWT, but I mostly watch in true appreciation for how Sheldon views and reacts to the world around him. 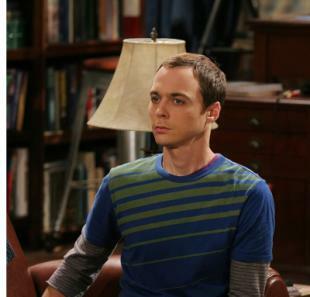 Roommate and relationship agreements – Sheldon has very detailed written agreements for both Leonard, his roommate, and Amy, his significant other. Some would say that is CRAZY behavior….you can’t reduce your relationships to written signed agreements!! BALDERDASH I SAY!! One of the Four Agreements as written by Don Miguel Ruiz (buy the book and read it over and over and over again) is “Don’t Make Assumptions”…clarify….ask questions….DO NOT assume you know what the other is thinking. I suggest nearly all marriages would be healthier AND therefore happier and longer lasting if they were based on a written, living, breathing relationship agreement….aren’t most marital arguments (aka differences of opinion) about one person not living up to the expectations of the other? Sarcasm (my achilles heel) – Sheldon simply doesn’t get sarcasm….reason being he tells the truth all of the time without even considering offering a sarcastic remark, except for the occasional ‘bazinga”…..and as a result, he has difficulty recognizing when someone else is being sarcastic. Much to the chagrin of the affected others, he ALWAYS tells the truth. Although often it seems “inappropriate” or “ill timed”, the result always puts the issue on the table to be dealt with openly and honestly. The few moments of uncomfortability are well worth the parties involved chopping at the root rather than the vine. Again I fall back on Don Miguel Ruiz whose Toltec wisdom counsels us to “Be Impeccable With Our Word”. What would be the result of you and I being impeccable with our word….NO gossiping….NO embellishing the truth…telling the absolute truth, even when it might sting a bit? Facing controversial issues head on rather than side stepping? Would you rather perpetuate a lie? How has that worked for you so far in this life? I see Sheldon as living a simplistic life….a minimalistic life….a contented life….a life worthy of emulating….enjoying honest relationships….honest communication…never concerned about how others might think about him (another Ruizism “Don’t Take Anything Personally”)….in a word, childlike….an adult, acting and reacting childlike, which is not the same as an adult acting like a child. Don’t we all long to see the world in a childlike way….enjoying the simpler things….smiling when we are happy….crying when we are sad….laughing….singing even when others can hear….eating when we are hungry….giving hugs uncontrollably, regardless of race, religion, social status, or sexual orientation….having someone sing “soft kitty” to us when we are not feeling well….having fun within whatever situation life hands us….loving unconditionally…. Try it….I think you will like it….I dare you…..
A popular cliché amongst coaches past and present…second only to perhaps “nobody ever drowned in sweat” or “keep your eye on the ball”….is the phrase “there is no I in TEAM”…a life lesson learned, as most would believe, through participation in team sports. However, even upon the band geeks were showered such idioms, which is where yours truly was first introduced. As the universe would have it, I found this lesson in humility in unfamiliar territory…as 2nd chair trumpet in junior high school (aka middle school in today’s vernacular). Although I found myself comfortably at home with any and all sports, my parents, having my best interests at heart, suggested I spread my wings into the musical realm….and the trumpet was the instrument of choice for the Nabors’ men. After a valiant effort and countless hours of practice (at least how I remember it), I found myself sitting behind a braniac nerd. When I approached the band director to inquire as to how I could attain the lofty status of 1st chair, he explained a lesson in harmony. “Young Master Nabors, there is no shame in playing 2nd chair. In fact, one might argue that 2nd chair is at least if not more critical than 1st chair, for without all the other trumpets…the trombones and baritones….the clarinets and saxophones…the strings and the percussion…the black and white ivory ticklers…there is no orchestra….there is only a trumpet….and no purveyor of fine music yearns to listen to only one instrument, but rather to all in harmony with one another…each bringing something magical to the dance”. As I absorbed and pondered, I witnessed evidence of my sage band director’s wisdom EVERYWHERE. When I galloped with the pigskin, I was doomed without my snowplows providing a path on which to run, they more important than I. When I donned the tools of ignorance behind the plate, I would have been only 11% of a baseball team without my pitcher and his entourage. As adults…contributing members of society…how often do we sacrifice our own interests for those of the greater good? How often do we take action to benefit others when we believe, whether actually true or not, that we will be somehow disadvantaged by such action? How often do we speak the truth that is in our hearts when we believe the risk is personal injury or ridicule? How often do we put others over self? I do my best to live a selfless life…failing and succeeding regularly…not for accolades…but rather to lift others up to heights they may not visit otherwise…in hopes that they will pay it forward for their brothers and sisters. The job doesn’t pay well…at least in earthly reward…but it is a worthy job…in or out of the limelight. We live in a world full to the brim with selfishness…I challenge you to swim upstream…be counterintuitive…think your own thoughts…trust in the one and only truth…YOUR OWN. In so doing, you will drown in a cornucopia of wealth…whether you play 1st chair or 2nd. As our children morphed from tadpole to bull”frawg”, we focused their extracurricular efforts towards athletics….a mistake in and of itself. I was too myopic to see the virtues gained from a well-balanced rearing. If I were to pinpoint my gravest mistake as a parent….the one area among the many where I failed…it would be that I did not expose them to the many flavors available for “their” choosing…a topic for another day. 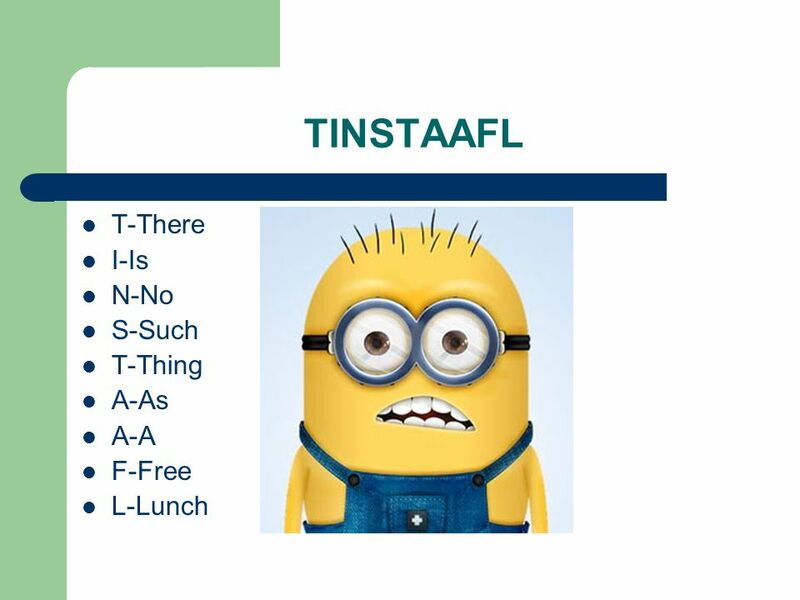 TINSTAAFL!! There Is No Such Thing As A Free Lunch!! When the tykes are tiny, there is no score….everybody is a winner….nobody is a loser….and everybody gets a token of some kind in the end….a medal or trophy…one more dust collector destined for the Goodwill box….I get that. I don’t agree, but I get it…. Wrestling, the oldest sport known to man, was one of our families’ chosen passions…my fav as a young man. And so I, along with a few of my crazy grappling brethren, coached our local high school feeder team. Upon assuming the reins, we instigated a few policies unknown to youth sports that were not popular with our constituents, the parents of our wrestlers. In order to be recognized at the “end of year” banquet, you, as a member of our team, were required to attend 75% of the practices…and you placed your John Henry on an agreement signifying your acceptance of these terms at season’s beginning. Invariably, at the end of year celebratory banquet, we would be cornered by an enraged parent livid that little Johnny did not receive a certificate of participation…to which we would simply refer to the agreement that they and little Johnny signed. “But you embarrassed him in front of his friends” they would say. To which we would reply, “No sir, YOU embarrassed him by not bringing him to practice a sufficient number of times to warrant recognition as part of our team”. Surprisingly, I was not fired as a volunteer coach for being so uncompassionate. 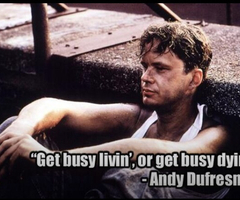 Andy Dufresne shared this sentiment with his good friend Red in the days before he escaped from Shawshank prison, serving time for an act he did not commit. Many of us feel as Andy felt…as though we are serving time for acts we did not commit….for a careless mistake long ago…for some minor misstep along life’s path….for an injustice brought upon us by others….for a painful heartache that was visited upon us randomly. It’s a simple choice really….get busy livin’ or get busy dyin’….there is no standing still….there is no treading water….your arms grow tired…weary…quickly…you either sink or swim…your choice. My family rolls their collective eyes…increases the density of their listening filter…whenever they sense I am about to share, once again, one of my signature “dad”isms…THERE IS NO STATUS QUO!! Status quo is defined simply as the current situation: the way things are now. We all inherently know that in 5 minutes things will never be the same. Something will happen that is completely out of our control…random…that could have a profound effect on the next 5 minutes or perhaps the rest of your life. There are times when truly wonderful things happen…children are born…love birds fly as one…humanity advances….enemies become friends…your family etches a loving memory in a time capsule that is indelible. There are times when unthinkably horrific things happen…children are abused…love birds fly apart….humanity retreats…friends become enemies…your family is torn to shreds by a personal affront that is seemingly unforgivable (sidebar: Although not forgettable, EVERYTHING is forgivable). What do you do when horrific things happen? Do you wallow about in your own self-pity? Do you become restless and irritable? Do you worry yourself into a state of depression and call your doctor for the latest and greatest meds? Or do you accept the reality and build a stronger foundation? Do you willingly realize that what happened wasn’t visited upon you personally…that your circumstances are just your circumstances at present? Do you give thanks for the adversity knowing it will give a potent relativity to the wonder? There is no status quo…we are either advancing or retreating…there is no standing still…no treading water. 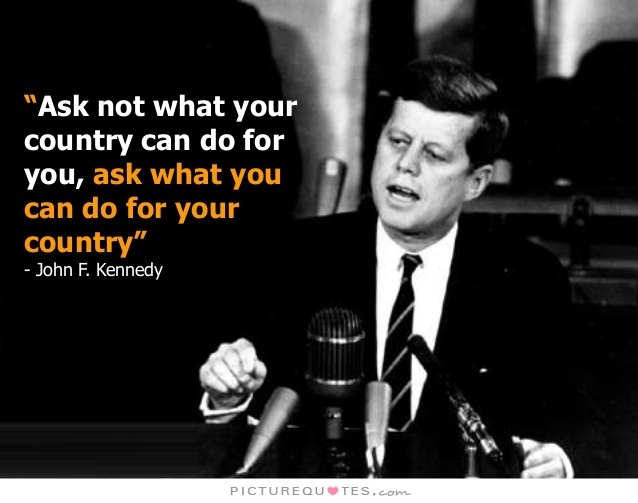 “Ask not what your country can do for you, ask what you can do for your country”….John F. Kennedy. How have we become so blind that we cannot see the obvious truth in JFK’s challenge? We look for others to solve our problems…yet we all know in our hearts…in our minds…during the times when we gaze into the deep abyss…desperately searching for solutions….that only we can solve our problems….and, by extrapolation, the larger problems of society will be solved. Problems are solved by caring for others over self….not by being selfish. Problems are solved by adherence to the universal laws of time infinite…not by more man made laws of this specific time and place. Problems are solved by being compassionate…not by being intolerant and tyrannous. …is this not self-evident? Discrimination will always be alive and well within the human condition. Whenever two factions “think differently” from one another, there is a divide…..a division of thought….of how things should be. But what gives one side the right to decide how things should be? Is one right and the other wrong? How absurd is that? We can think how we choose to think…but we have no jurisdiction over the thoughts of others. Problems do not vanish of their own accord…never have…never will. But no politician…no government…no mountain of legislation…is ever going to remedy our problems. That path is deemed for failure. Rather than look outward for a solution, let us look in the mirror. Human behavior cannot be legislated….if it is to be, it is up to me…what other choice do we have? Our two party political system is the very definition of dysfunctional. And make no mistake, the Libertarian or Tea Party is a mere figment of our imaginations as they are given not even a seat at the table. To listen to the rhetoric being spewed about at the Republican National Convention causes me to want to vomit. I cannot fathom that these are the best of the best as they disparage everything about the “other side of the aisle”, in particular taking a personal assault on the presumptive Democratic nominee Hillary Clinton. That is not to say that the same tactical approach will not be leveled from the other to this next week as the Democrats convene. The Donald will be assaulted as never before by otherwise intelligent and decent human beings. Have we become so ignorant of a populace as to desire to listen to such lambasting? Is that how one wins by espousing how disgustingly awful it would be if the other won? 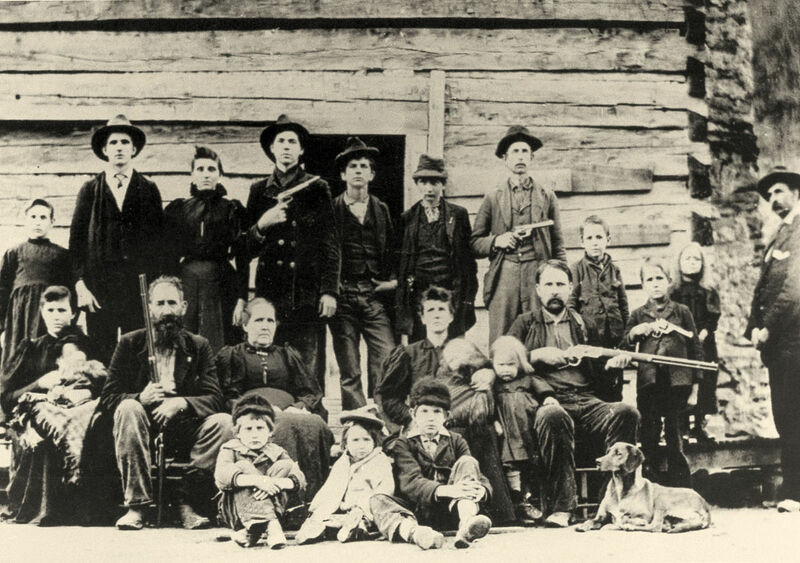 It reminds me of the Hatfield’s and McCoy’s of rural West Virginia and Kentucky in the late 1800’s….sad to think we have made such little progress since then. Are we all not some percentage Republican and some Democrat….perhaps as close as 51/49? And don’t those percentages change over time, depending on our experiences and education? Don’t we all have opinions….hold beliefs….live by mores….that align with both Republican and Democratic philosophies? We have certainly become a melting pot since our birth in 1776…differing races, creeds, religions, and sexual orientations among the ingredients of a now flavorful and well-seasoned stew. Should we not embrace the diversity and be thankful for the many worthy thought leaders of our time? Can we not have political leaders that listen to ALL of their constituents and make decisions for the greater good, not simply for the good of their “party”? Must our political leaders always vote along party lines? Can they not think for themselves? I suggest an abolishment of the two party system….perhaps we become party-less? Force candidates to think their own thoughts….force folks to become educated about the candidates/issues before they vote rather than vote strictly along party lines…to think for themselves. If not, we can continue to be spectators at a bare knuckle fight….rooting for our gladiator because we despise the other….voting with our heads in the sand. Or we can do as the Hatfield’s and McCoy’s did in 2003 and call a truce….cooperate rather than be stubborn and fight amongst ourselves….our nation is at risk on so many levels…the time has come to at least be at peace within our own land. Haters don’t gotta hate….they can choose love. 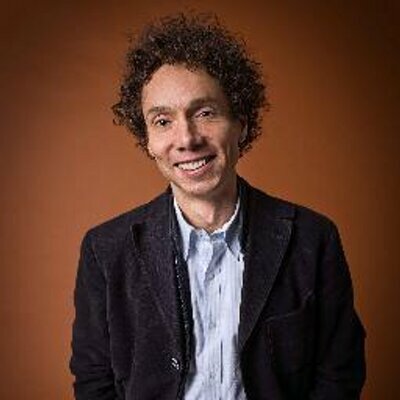 “In embracing the diversity of human beings, we will find a sure way to true happiness”, Malcom Gladwell. Do you believe as Malcom believes? Step outside yourself for a moment and sincerely ask and answer that question….for yourself. Think your own thoughts….not those of others…how do you feel about the diversity that continues to proliferate in our world…in our country…in our towns…in our own families? Is it better to fight against diversity or embrace it? When we were a young couple transplanted from the rural Midwest and living in idyllic Orange County California, a stones throw from Huntington Beach, we bought our first house…1982….in Fountain Valley…with a 17.25% interest rate loan…a foreclosure….we were young (24) and impetuous…and naive. Next door lived two middle aged women…one a doctor at the local community hospital where my wife worked….the other in managerial sales. I, being the gallant gentleman whom my parents reared me to be, was forever in their support doing manly type chores of which they were either incapable of tackling. I felt useful…contributory…in support of others as I was taught. We became friends and enjoyed each others company. On one of SoCal’s typically temperate sun drenched Autumn days, I was repairing an item in their house and noticed something peculiar….it seemed only one of their 3 bedrooms was in use….the master…the others were neatly furnished…tidy…unmistakably not lived in…I was confused. I went home and discussed this with my bride…and as we looked at one another with bewilderment, we concluded “that’s really weird…perhaps they are homosexual”. Lo and behold, our parents were again right…we had moved to the land of iniquity….of fruits and nuts…we had met our first gay person….check that, gay couple…who were happy and normal…and our friends. That day our friendship grew exponentially as we were able to expand our horizons…learn…accept…support…love…thanks and due to the diversity. We are not the same….you and me…except that we are both human…we are black and white…conservative and liberal…Christian and Muslim…rich and poor…educated and simple…white and blue collared…jock and thespian….extrovert and introvert…hetero and homo sexual…short and tall…young and old…yin and yang. And all of these differences, along with the countless others, combine to create a magnificent tapestry of vibrant colors beyond description….one fabric…the human fabric. Without each other, the fabric will become tattered, tear, and be rendered useless….ruined. 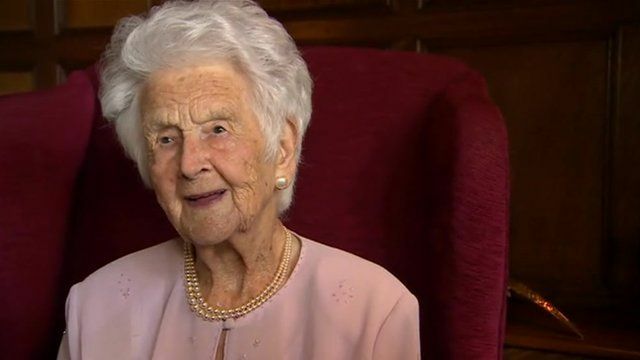 I have a friend who has been blessed with 90+ years of this life. At our last encounter, I was warned by her family that she had lost her filter, a rite of passage for anyone with that many miles on her tires. It was a truly memorable conversation that gave me pause…forced a spot of time to consider her opposing opinion. It was a moment that is indelibly inked on my mind. Prentice Mulford wrote a book in 1889 titled Thoughts are Things…powerful things. In the end, we are no more than a sum total of our thoughts, some of which morph into action while most do not. The choice is yours as to which translate into action…whether that action is merely your verbalized opinion or into physical action….whether supportive or detrimental. The daily news wire reminds us of detrimental action that is born from nothing more than how somebody thinks about something. Indeed, thoughts are things….powerful things. It is my contention that our filters should be considerably more open that they currently are based on some misguided level of political correctness. That tact certainly seems to be working for Mr. Trump!! Although the truth may sting a bit when delivered, it is the only way to pave a path for improvement….for progress. Whether your thoughts are verbalized or not….taken action upon or not…is a fine line to straddle. We all know that obesity is a problem in our culture for a myriad of reasons. When you have a friend who is obese…or on the path to obesity…is it better for you to discuss this with your friend or simply think that he/she is obese and perhaps talk to others (aka gossip) about your friend? Which do you think is more helpful for your friend? I am not suggesting that your friendship should be contingent on your friend’s weight, but if you want what is best for your friend, you will be truthful….with compassion….something which is still a work in process for Mr. Trump!! Consider being the one who will say what nobody else will say. Be brave. Take a risk. You may ruffle some feathers, but all the birds will be better for you doing so. Be a change agent. Make a difference. Verbalize your thoughts…from a foundation of love. Then enjoy the fruits of your labor as you actually witness the change. Life as we know it would be exponentially richer…simpler….if we all simply told the truth all the time. So the next time you are tempted to lie, which is the same as not telling the truth, opt for the truth. You will be anxious…it will sting for a spell…but not for long…and all will be better for you doing so. For those daring enough to read the day’s news…for those whose skin has calloused to the point of deflecting the emotion that comes from the reading…I ask you but one question…what seems to be the common thread running through most atrocities against mankind worldwide? My answer to that question….the obvious answer to those willing to take their heads from beneath the sand…. The happenings during the course of the last few days in our country as we celebrated our independence….our freedom….our right to live our lives free from tyranny….should first cause us each to weep the saddest of tears for what are senseless acts of violence visited upon those not deserving. And then, when our dried tears have stained our cheeks and our eyes are reddened, we should ask ourselves, what can I do to help stem this tide….to turn the pendulum back in the other direction. Do we want our country to continue to deteriorate into a war state with battles being fought amongst our own, or do we want to set the bar high for the rest of the world and live in peace? I am not so naive as to think that there would be no unthinkable acts of violence without guns, but I do believe they would diminish with some reasonable level of restriction as a baby step…to that there can be no argument. Guns do not take lives acting on their own….and people do not take lives without a gun….people with guns take lives….so perhaps we should limit the people with guns? 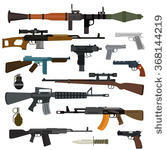 Do you think our towns….our streets….our homes…would be safer if everyone was packing…or would they be more dangerous? Today I am melancholy as I mourn for the families of all those whose loved ones lives have been taken from them without cause….families I will never know….yet they are my brothers and sisters….for He loves ALL the little children of the world…. When we come from love, so too will the solutions to this problem come from love, not hatred. It’s never more quiet than the early morn….no hustle or bustle….only stillness….the softness of a new day breaking beckons….the mind is clear….the body rested….the unknown that lies ahead is a carrot on a stick….how my heart loves ushering in a new day full of wonder and possibility….devoid, if even for the briefest of moments, of the worry…the hatred…the complexity…of this life…this life that each of us chooses to live in our own way with every breath…one choice always followed by another. For some time now I have vowed to write on a regular basis…to give some permanency to my thoughts…not that mine are any better than yours…only different…in the hopes that my thoughts may spur you to think about your own. I am but a common man…vowing to live an uncommon life…with eyes wide open…and yes always on the tip of my tongue. 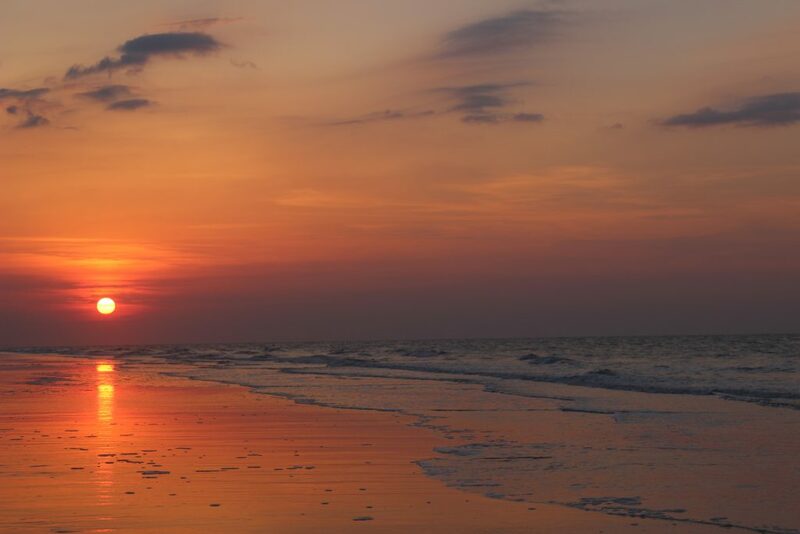 This writing will focus on three tenets that I believe are critical to our inner peace…which translates to our outer actions…that will allow us to bathe in the richness of our relationships…and experience the love of and for others as it was designed. Tell the truth whenever you speak…. Whether you choose to join me on this journey is a decision only you can make…and is only important for you….not for me….as I choose to do this for my own pleasure….my own contentment….while George Winston softly tickles the keys and a vanilla candle flickers in the dim light of morning, I will write….and perhaps someone will read….and the reading will help them to think their own thoughts, tell the truth whenever they speak, and embrace simplicity. "Thanks for the explanation. I definitely see so much selfishness in the ..."
"Truth can be black and white at times, and other times gray. Your ..."
"I definitely can identify. I value the lessons learned from team sports. "